EXPIRED!! 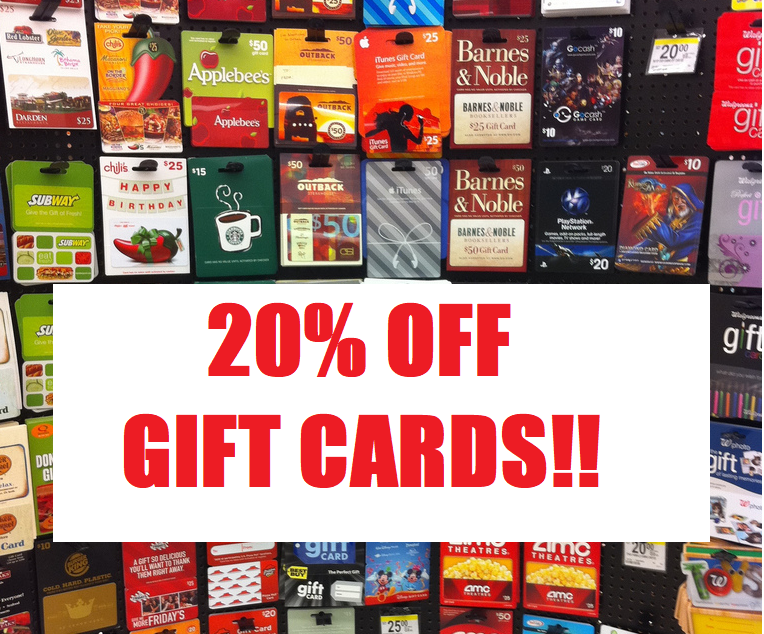 GIFT CARDS SALE: Choose From over 150 Brands Including: Macy's, Kohl's, Lowe's, Staples Nike, Olive Garden, Sephora, Movie Theaters, AirBNB, Bed Bath & Beyond, Bath & Body Works, Domino's, Dunkin Donuts, Kohl's and many more restaurants, clothing stores and retailers to choose from! 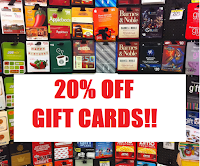 VERY RARE 20% OFF GIFT CARDS SALE: Choose From over 150 Brands Including: Macy's, Kohl's, Lowe's, Staples Nike, Olive Garden, Sephora, Movie Theaters, AirBNB, Bed Bath & Beyond, Bath & Body Works, Domino's, Dunkin Donuts, Kohl's and many more restaurants, clothing stores and retailers to choose from! Click here download the Bitmo App and sign up. If you already have the app just open and log in (you may have to update to the latest version if you haven’t logged in in a while). Tap “Account” to add your payment method. Tap “Shop” to select your gift card. You can choose any gift card from $5 up to $100! Select a gift recipient from your contacts list or send it to yourself by leaving the recipient field blank. And checkout. Code should be applied automatically, if not applied then enter coupon code SAVE20 at checkout. See Bitmo’s Terms and Conditions for more details. Limit 1 per user. 20% savings will be applied at checkout not to exceed $20. Allow up to 1-2 business days for gift card delivery. Promotion valid through 8/29 or until maximum code uses have been reached. Only 300 codes available! For help, contact support@bitmo.com.